Greising is President & CEO of the Better Government Association. 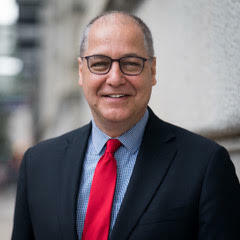 For the past 35 years, Greising has been a high-profile journalist locally and nationally, reporting on news such as the aftermath of the 9/11 terrorist attacks, industrial accidents, corporate bankruptcies, government investigations, Illinois’ fiscal health, and community unrest following police actions. He served more than a decade as the Chicago Tribune’s business columnist and chief business correspondent, covering business, civic and political newsmakers in Illinois. The Millennium Park experience shows the cost of moving too fast. There is a better deal to be gotten at Lincoln Yards than the one on the drawing boards right now.